Check out my new short story! Exciting news! A while back I wrote a short story for the Arcane Arts Anthology, and today it was officially published on Amazon! Woo! Click here to check it out. 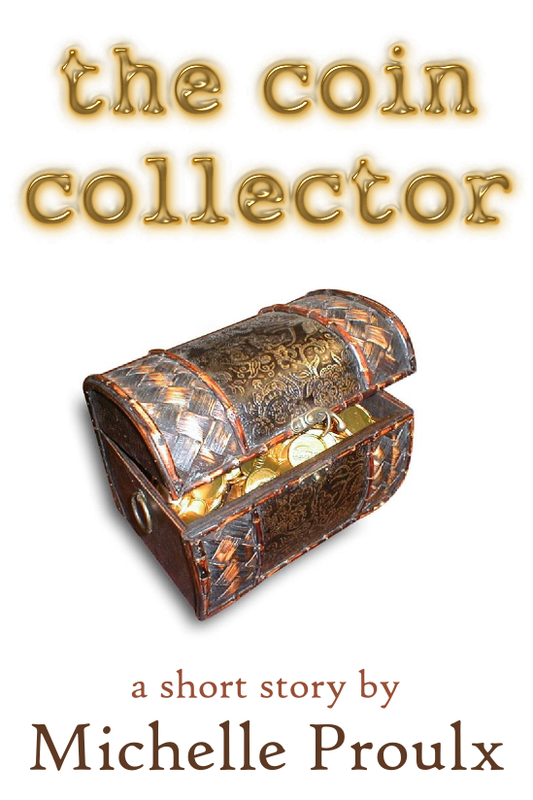 I had the privilege of proofreading the collection, and I had a blast reading all the fantasy/sci-fi shorts. One of my particular favorites is The Dark Siren by Danielle E. Shipley and Tirzah Duncan, about a cigar-loving skeleton lady tele-marketer who gets dragged into saving the world. My own contribution, Escape!, is about Rhapsody Swansong, a teenage bard-in-training who has to take her end-of-year exam at the Ascalon Academy of Arcane Arts and Adventuring in the form of an “escape room”. Unfortunately, her group members are an atheist cleric, a clumsy rogue, and a mage who can’t control her magic–and Rhapsody herself is a bard without an instrument. Battles are fought, friendships are formed, lessons are learned, and hilarity–of course!–ensues. The anthologist, Kai Herbertz, is hard at work on the print version, as well as a German language edition. Anyway, just thought I’d share the awesome news! If you’d care to grab yourself a copy, we would be eternally grateful for your support of the anthology. Or if you have a spare moment to share the anthology on your social media, that would be much appreciated as well. Awesome New Imminent Danger Fan Art! This is of course a depiction of Varrin’s second rescue of Eris and Miguri, post-Chakra Corp. My favorite parts include: Miguri just totally done with the entire situation, Eris literally glaring daggers at Varrin, and Varrin being perplexed as to how anyone could fail to love him without reservation. New Imminent Danger Fan Art!!! In today’s offering from the beautiful and talented Celeste DeWolfe, we have some fan art from Imminent Danger featuring Eris, Miguri, and Alyra. The scene (SPOILER ALERT) is after Eris and Miguri escape Chakra Corp with Alyra’s help, and Eris attempts to recite the “To be or not to be” speech from Hamlet, with amusing results. I think my favorite part of this drawing is Alyra, because it just boggles my mind how the artist manages to put so much expression on the face of an alien with no mouth and giant, wacky eyes. Thank you, Celeste, for the gorgeous new fan art! Ramping up for our super special awesome Friday, October 9th release date, I present to you a teaser from Chasing Nonconformity. This teaser will be … the prologue! A bit of background — this actually started off as the first chapter of the book, but a few beta readers were concerned with the idea of starting the book and not being in main protagonist’s POV. So I moved the chapter to later in the book, but it didn’t really work in terms of pacing. I eventually ended up making it the prologue, since prologues can get away with crazy shenanigans like being from a new character’s POV. Anyway, here it is in all its prologue-y glory. Read, laugh, enjoy. Electricity crackled along the curved blades of Sebara’s twin electro-scimitars as she wove them around her body in intricate patterns. From high above the imperial palace training grounds, the midday sun blazed down on her head and warmed the sand beneath her bare feet. Her tanned skin was slick with sweat beneath her sleeveless white tunic and pants, and strands of her long black hair—pulled into a high ponytail—stuck to her neck. But Sebara, who had lived her entire life on the desert planet Rakor, barely noticed the sweltering heat as she leaped through the air and slashed down her scimitars as if decapitating an unseen foe. As she straightened, Sebara tried not to let her apprehension show. This was the first time the leader of the Rala’kamil—the elite all-female military order charged with protecting the Rakorsian imperial family and their allies—had spoken to Sebara since she’d become a cadet three years ago. What does she want? Sebara wondered. Have I done something wrong? “You train with great enthusiasm,” the general noted. It was a direct quote from the Rala’kamil training manual, which was sure to please the general. In truth, Sebara practiced obsessively because she loved the rush of exhilaration fighting gave her. But that’s not the sort of thing you admit to your commanding officer. She made sure to keep her tone and expression neutral, but secretly she was elated. She’d only graduated from cadet to Rala’kamil three nights ago, on the eve of her eighteenth birthday, and had expected to wait several months before receiving her first assignment. I wonder who I’ll be guarding? Probably some minor dignitary on one of Rakor’s tributary worlds. Or maybe a planetary governor’s wife? Although Sebara had never backed down from a challenge in her life, she still found herself daunted at the prospect of guarding the thirteen-year-old prince. From what I’ve heard, he’s not just eccentric, she thought. They say he’s a sensitive, overly-emotional boy who spends all his time reciting poetry and chasing flutterers in the cactus gardens. In other words, he’s the exact opposite of what a proper Rakorsian prince should be. “Is there a problem?” Zandara asked. Sebara nodded. Then she turned and sprinted out of the courtyard, kicking up clouds of golden sand in her wake. After changing out of her sweat-stained training clothes and into her black and gold body armor, Sebara traveled by aircar from the Rala’kamil barracks to the palace. The Rakorsian imperial palace was massive and sprawling, built on the shores of a crystalline lake at the center of an oasis deep in the Valdarik desert. It was comprised of several dozen buildings—ancient, beautifully preserved structures with soaring archways, massive stone columns, colored glass windows, and mosaic tile floors—connected by winding walkways lined with frond-leafed trees and flowerbeds. Sebara left the aircar parked on a stretch of gravel beside the lake. She hurried up the stone steps into the South Wing and strode quickly through the wide, airy corridors toward the imperial suites. On the way she passed servants dusting and cleaning, courtiers going about their business, and Skin Slicers—the emperor’s personal elite fighting force—standing guard outside important rooms. Finally, she turned a corner and found herself facing the twelve-foot-high, bronze double doors that led into Prince Trystan’s private chambers. Two muscular Skin Slicers in red and gold armor flanked the doors. Sebara took a deep breath, then marched up to the intimidating pair. Before she’d joined the Rala’kamil, Sebara would have never dared to raise her voice in a man’s presence. But now she could speak to most men as their equal. She was very much enjoying her new freedom of speech, although she would never admit it aloud. One of the Skin Slicers nodded, and the other slapped his hand against a DNA scanner on the wall beside the doors. The gilded sunburst pattern in the center of the doors split in half as the bronze panels slid into the walls. Her head held high, Sebara marched through the opening, between a pair of braziers burning sweet-smelling incense, and into the prince’s sitting room. The room was bathed in golden sunshine streaming through floor-to-ceiling windows that overlooked the sparkling lake. The walls were covered in silken hangings and colorful paintings, and the mosaic tile floor was cushioned with layers of woven carpets. Elegant vases with fragrant flowers, benches strewn with decorative pillows, and tables covered with messy stacks of paper were spaced throughout the room. The young, golden-haired prince of Rakor stood beside an easel in front of the windows, enthusiastically splashing a paintbrush across a large canvas. His sun-kissed face was speckled with paint, as was his yellow sleeping robe. “Your Highness,” the Rala’kamil said formally. “I am Sebara. I have been assigned as your new bodyguard. It is my deepest honor to serve you.” She crossed her fists against her chest and bowed so low that the tip of her ponytail brushed the carpet. The boy didn’t even glance toward her—his gaze was fixed on the painting. She trailed off. The prince seemed utterly oblivious to her presence. She instantly regretted her harsh tone, but the boy just turned, stared at her for a few seconds, and then grinned. Sebara had a strong feeling he wouldn’t take a single step toward the throne room until she looked at his painting. Sighing inwardly, she strode over to the easel. Sebara stared at the painting. The abstract swirls of color were meaningless to her, although she did find them surprisingly pleasing to the eye. “What is it supposed to be?” she asked. “What happened?” Sebara asked, curious to find out what the prince had done to drive away his former bodyguard. “You fought him?” Sebara demanded. Although Sebara had no idea how to relate to the boy’s bewildering dislike of violence, she understood the shame of disappointing one’s father. On the day she’d left home to join the Rala’kamil, her own father had condemned her choice and accused her of abandoning her duty to her family. They hadn’t spoken a word to each other in three years. The prince disappeared through a door at the end of the sitting room, leaving Sebara standing beside the easel, her head spinning from his mercurial moods. What a strange boy, she thought. While awaiting his return, Sebara re-examined the painting. It’s really not bad, she thought, smiling slightly as she hovered her fingers over the colorful swirls. I still maintain it looks nothing like the essence of Rakor, though. Just as Sebara was admiring a beautiful sketch of two Rakorsian girls sitting by a fountain holding hands, Trystan returned. The boy was now outfitted in lavish crimson and gold robes, complete with ceremonial golden shoulder spikes. “How do I look?” he asked, wriggling his shoulders uncomfortably under the thick fabric. “Like a prince of Rakor,” Sebara said truthfully. She waited for him to lead the way, but Trystan looked expectantly to her, so Sebara shrugged and proceeded out the doors with the boy at her heels. The Skin Slicers sank into deep bows as Sebara and Trystan walked past. “Your Highness,” the guards murmured in unison. “Excellent idea, Sebara,” Trystan said, tugging at one of his shoulder spikes so it stopped scratching his neck. They walked quickly through the ornate palace corridors, past soaring stone arches, twisting columns, and sapphire pools in sunny courtyards. Servants and planetary governors alike bowed deeply when the prince approached, and whispered behind his back after he had passed. Finally, they turned a corner and entered the throne room’s antechamber, where grandiose golden doors—flanked by a pair of Skin Slicers—were set into a wall carved with images depicting several thousand years of Rakor’s bloody imperial history. “My name will be up there one day,” Trystan murmured, gazing at the wall. “Assuming my brother stays in exile and Father names me his successor, of course.” He shuddered, as if the idea of being named heir to the throne of Rakor would be a horrible fate. Then Trystan stopped mid-stride, gasped in delight, and fell to his hands and knees on the stone floor. One of the Skin Slicers coughed, as if fighting back a laugh. “What are you doing, Prince Trystan?” Sebara whispered, flushing red with embarrassment. The other Skin Slicer snorted. “Please get up, Your Highness!” Sebara begged. The boy showed no signs of moving. So Sebara crouched down, grabbed his arm, and hauled him upright. Trystan gaped down at her hand on his arm, then up at her. “Are you allowed to grab me?” he asked. Trystan grimaced, then reluctantly started walking toward the golden doors, which swung open at his approach. He led the way inside, with Sebara trailing a few respectful steps behind. They started the long walk toward the throne, passing through a forest of forty-foot-high, intricately carved stone pillars supporting the coffered metal roof high above their heads. If the architect was attempting to make visitors feel tiny and insignificant, he did an excellent job, Sebara thought nervously. Sebara looked toward the dais. She had previously only seen the emperor at a distance, either on the news or when he gave speeches from his balcony. Close up, Ka’zarel Gara’dar cut an imposing figure, standing tall in front of his golden throne wearing lavish crimson robes, a sun-shaped crown, and a dark scowl. Trystan and Sebara hurried to the end of the carpet. When they reached the steps to the dais, they stopped, crossed their arms against their chests, and bowed deeply. Trystan hastily looked up at his father, balling his fists at his sides. The golden spikes on his shoulders quivered. A tall, muscular, middle-aged man with a rough-hewn face covered in unsightly scars stepped out from behind a pillar. Sebara knew the commander of the Skin Slicers by reputation only—a peerless warrior and a fearless leader, possessing an almost fanatical devotion to the emperor. Like all Skin Slicers, Fino’jin wore red and gold armor, and the hilt of an electrified longsword gleamed over his shoulder. “What matter is that, Father?” the boy asked cautiously. Sebara realized she was gaping at the emperor, and hastily averted her eyes. The boy flinched. Then he bobbed his head, turned, and hurried back down the long carpet. Sebara bowed to the emperor and strode quickly after Trystan. As soon as the prince and his bodyguard crossed the threshold, the golden doors slammed shut behind them. Sebara blocked out his rambling—she was busy trying to come to terms with the abrupt new trajectory her life had taken. I knew protecting the prince wouldn’t be an easy task, but I never expected to be sent off on a secret mission to recapture the lost crown prince on my first day! Sebara took a deep breath and straightened her shoulders. “Your brother is not going to kill you,” she said firmly. Chasing Nonconformity comes out this Friday! Mark your calendars! That’s right! The perfectly wonderful Celeste DeWolfe has just finished beta reading Chasing Nonconformity (she loved it!) and she was inspired to draw two new pieces of fan art for Imminent Danger. Check them out below. Also, I’m happy to report that I’ve gotten back a handful of beta reading comments thus far for the sequel, and it’s good news all around! There were a couple of logistical errors that people pointed out, which will need to be addressed, and of course a handful of typos, but other than that it’s looking good! 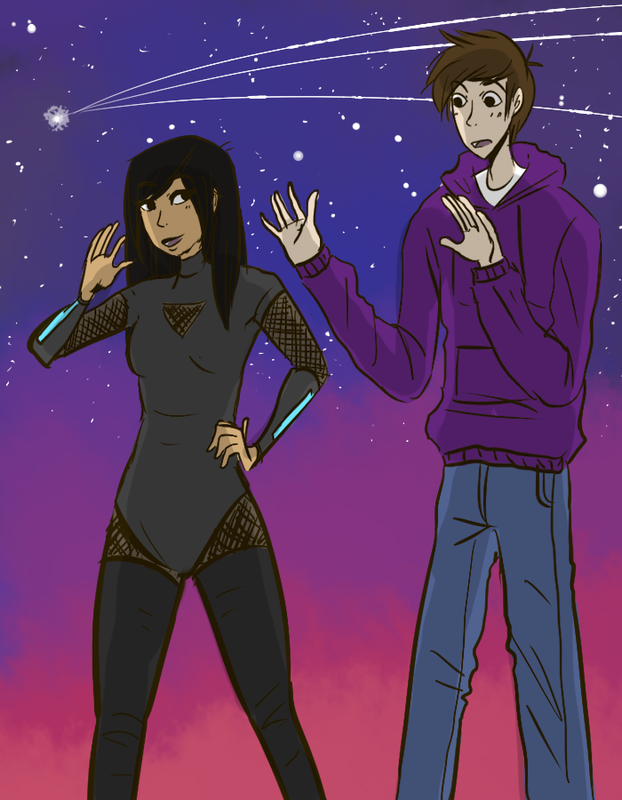 My personal favorite is the second one — gender-bent Eris and Varrin is just so fun! You know you’ve made it as an author when someone makes gender-bent fan art, lol. Also, I can’t get over how dorky male-Eris looks. But, like, in an adorable way. Anyway, everyone have a fantastic weekend, and stay awesome! 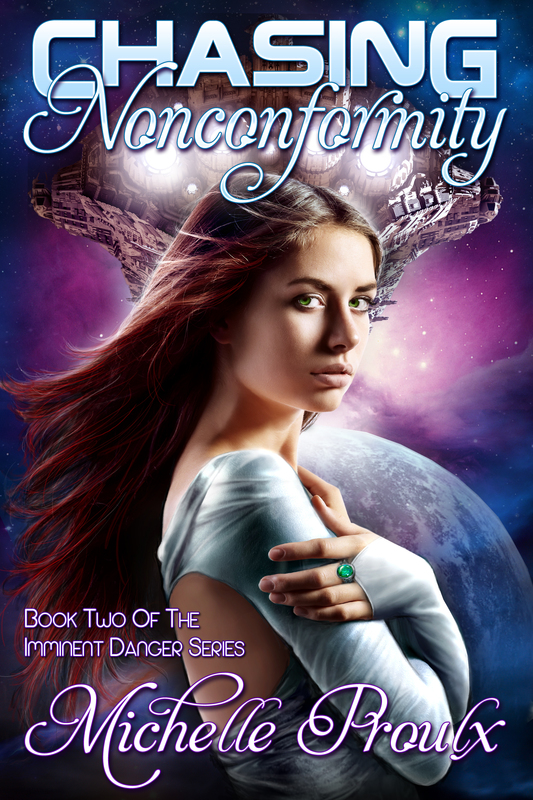 Imminent Danger Free to Download this Weekend! Hey peeps! Just popping in to let you know that Imminent Danger And How to Fly Straight into It is free to download again this weekend. So if you haven’t picked it up yet, now’s your chance! It’s actually available on all the Amazon sites — so if you’re not American/British/Canadian, hop over to your favorite Amazon site and search the book name. Happy reading! It’s actually available on all Amazon sites, so just head over to your Amazon site of choice and it should be there! If you want to share the news of the free downloads days, you’re awesome. If you don’t want to share the news, you’re still awesome. Either way, thanks for reading, and happy downloading! Today for your enjoyment I have a series of humorous Tumblr posts.